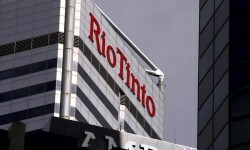 15 Apr 19 - Rio Tinto has signalled it is prepared to quit its membership of industry associations, including the Minerals Council, if the council makes public statements inconsistent with Australia’s Paris climate agreement commitment. 15 Apr 19 - More than 20 former fire and emergency chiefs from multiple states and territories say Australia is unprepared for worsening natural disasters from climate change and governments are putting lives at risk. 12 Apr 19 - Queensland has confirmed plans to put in place controversial new regulations for solar farm construction that will restrict the installation or removal of PV panels to licensed electricians. 11 Apr 19 - With demand set to rise across the world, Australia is set to become a global primary producer of hydrogen. 11 Apr 19 - Tasmania’s bushfires might have resulted in the release of significant amounts of mercury from burnt trees into the atmosphere. 9 Apr 19 - Parts of Australia’s climate change-impacted forests might never be the same again, scientists say. 4 Apr 19 - The Australian government has delivered its last budget before May elections with long-term climate and clean energy policies and technologies being ignored. 3 Apr 19 - A Bill Shorten Labor government in Australia would add about 100 high polluters to those subject to an emissions cap, and drastically slash the present cap’s level. 1 Apr 19 - Cuts to carbon emissions from vehicle efficiency standards have been left out of government projections for meeting Australia’s Paris climate commitments, indicating the policy has been shelved. 14 Mar 19 - Australia’s high rates of forest loss and weakening land clearing laws are increasing bushfire risk, and undermining the country's ability to meet national targets aimed at curbing climate change. 12 Mar 19 - Western Australia’s environmental protection authority has announced tough new measures aimed at curbing greenhouse gas emissions from large projects. 8 Mar 19 - Australians will remember the past few months as the angriest summer they have known - a time so hot that fruit cooked on the trees. 5 Mar 19 - Extreme weather events are causing severe damage to native flora and fauna, but the casualties are slipping under the radar. 1 Mar 19 - Australia's greenhouse gas emissions continue to rise, reaching their highest on a quarterly level since mid-2011. 25 Feb 19 - Australian leader Scott Morrison will attempt to appeal to voters by rebadging Tony Abbott’s emissions reduction fund as a “climate solutions” fund – with $2bn to be rolled out over 10 years.